The world has ended and most everyone is dead, guess it's time to fulfill an old promise to an old flame. 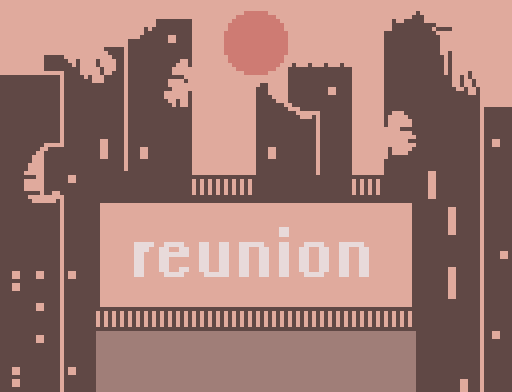 My submission to the Mech Bitsy Jam and also the Emotional Mecha Jam! I made this in the course of three days with a very loose idea and a couple pieces of art. Has brief themes of war and sadness and death, with a couple of pixel corpses. Hi! You are the one sending the messages, the messages in the first two rooms (the starting room and the room with the plants) are meant to indicate this, specifically. Sorry that it was confusing! Love this game, packs a lot of impact for something you can experience in 5 minutes! Wonderful experience, your work is an inspiration for me. oh thank you! what was confusing? maybe I can help clear it up. There's a quality to all of your games that I can't really describe. They have such great and specific atmospheres, the writing all just feels real, and honest, and resonates with me. It's all very Caeth! And this has Caeth in spades! oh god this really made me feel things. incredible work as always. This game was great, and the (sorta) twist and backstory were great! Graphics were stunning and minimalistic. Wow! Wow, wow, wow, wow!!!!!! Very emotional!